Like the name suggests already: AC Genetics is a cannabis seed bank entirely focused on the production of cannabis seeds which automatically start to flower, no matter the amount of light they receive each day (= autoflowering). All our autoflowering cannabis varieties have their own specific and characteristic qualities. We select all genetics on stability and reliability, but we also strongly focus on taste, effect and yield. Bringing the genetics one step further every time is our continuous challenge. In addition we would like to surprise you in the future with new, interesting autoflowering cannabis varieties. All our seeds are feminized, so they will only grow female plants. The seeds are produced in relatively small quantities and selected by hand. Our seeds are always fresh, ripe and have a strong germination. Each package comes with a batch number. 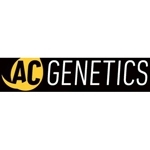 AC Genetics is located in Amsterdam, The Netherlands.